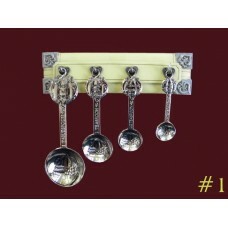 Set includes 1-Tablespoon (51/8"), 1-Teaspoon (41/8"), 1-1/2 Teaspoon (3 1/2") and 1-1/4 Teaspoon (3"). 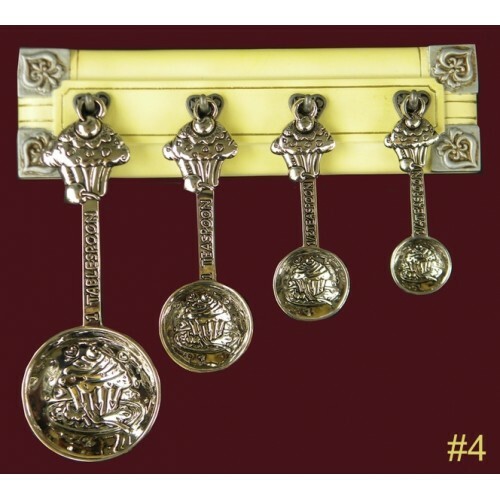 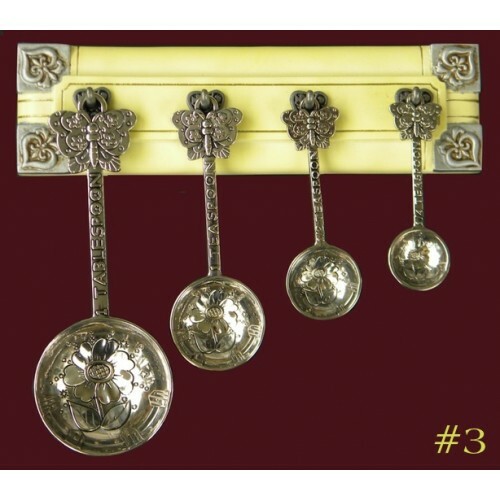 Choose either the #1"Bless This House Set, #2 "A Heap of Happiness", #3 "Flowers & Butterflies" or #4 "Cupcakes" Add $ 12.95 for Spoon Rack (71/4" x 2") sold seperatly. 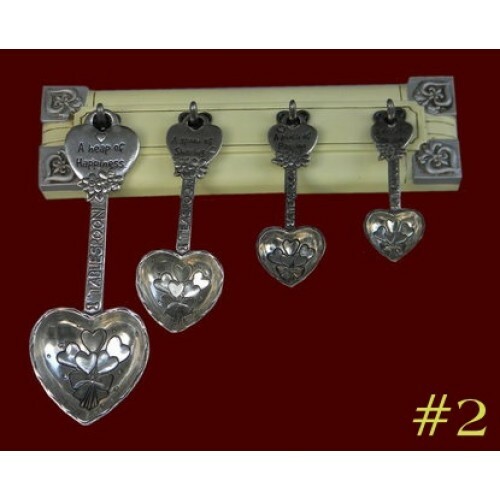 Add $6.00 for Name on Rack.